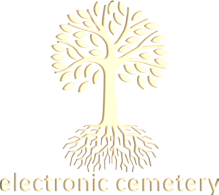 Electronic Cemetery was founded in 2009 by Jami Nash. Being an avid environmental philanthropist and coming from a horticultural background he was quickly realising the impact electronic waste has on the environment. ECEWM was then founded as a means to dissipate the rapidly rising piles of e-waste, which accounts for over 70% of all toxic waste world wide, having a long term impact on the environment and causing untold health issues. Having grown up and spent a lot of time in rural areas, speaking fluent Zulu and Xhosa, and having many disadvantaged friends, he began salvaging and refurbishing redundant equipment in order to provide a much needed service to disadvantaged communities. The company received a boost in 2013 when his younger sister Ixora Nash qualified from Rhodes University with a Bachelor of Social Science in Organisational Psychology and Sociology, and joined him together with her partner Shmuel Yaniv, who had studied accounting and economics in Israel and Italy, as they too were looking to help the less fortunate. In the last year the company has grown to new levels. Ixora and Shmuel resigned as company directors once their job was done and the business on a firm footing, in order to return to Israel, and Malcolm Silver joined the company as Jami’s business partner. Malcolm is a tremendous boon to the company, coming from a background in IT, having a thorough knowledge and a lifetime of experience developing fully integrated, cutting edge, computer systems par excellence. As a team, we are passionate about what we do! Our aim is to save as much e-waste as we possibly can from destroying the Earth!